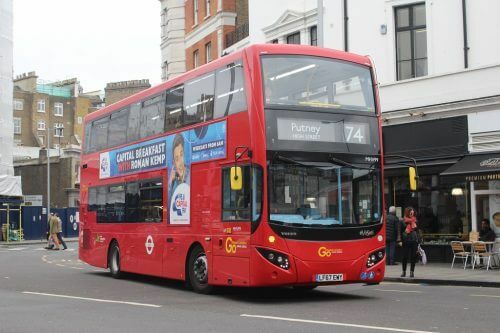 As of 1 November, both Transport for London (TfL) and the national Ultra Low Emission Bus accreditation scheme (ULEB) will use the same test procedure – making it easier for low-emission buses to be sold in London and nationally. The single test means manufacturers will only need to test a vehicle once for it to be eligible for use in the capital and qualify for national grant schemes. The test, called the UK Bus Cycle (UKBC), only applies to new models; those that have already attained LEB or ULEB status will be unaffected. LowCVP says the test will comprise of a London Bus Cycle (LBC) phase and a rural phase. The LBC phase has been developed from the previous Milbrook London Test Bus (MLTB) cycle, which has been used by TfL for two decades to measure the emissions produced by different buses. This MLTB cycle was also used in the Low Carbon Emission Bus accreditation scheme (LCEB), used for the Green Bus Fund first introduced in 2009. The new test – the result of two years of cooperation between LowCVP and TfL – is more challenging for manufacturers as it includes requirements for ancillary loads such as lighting and heating to be switched on. The test chamber temperature is also set to 10⁰C, making it more demanding for exhaust aftertreatment systems.